I have been aboard many commercial flights and even dabbled in the odd hot air balloon ride, but I had never piloted my own aircraft until a sunny summer's day in Vancouver came along. I arrived at King George Aviation's flight school along with fellow daredevil Sri and his spectating wife. The airfield was composed of grass and several bales of hay. As we waited for our planes to arrive, Sri and I inspected the light aircraft in the hangar and became increasingly nervous. A true hero faces his fears courageously. I encountered a brief bout of uneasiness upon seeing the aircraft in which I would be flying and rushed to a portable toilet I sighted nearby. I was stymied by the combination lock affixed to the door handle of the outhouse, when an employee told me that is where they stored petrol. By now our flight instructors, a man and a woman, had arrived. After perhaps making a politically incorrect statement about women pilots that enraged Sri's wife, I volunteered to fly with the female instructor to demonstrate my unbiased nature. The bright yellow plane had two seats and also two sets of controls. 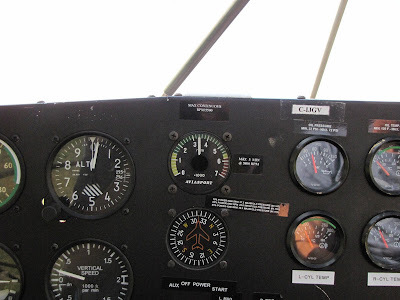 I put on my headset and buckled up, as the instructor tested the radio. Since it would be very loud once we were up in the air, all communication would be conducted via the headset. The instructor would be in control during landing and takeoff, while I would get a brief chance to pilot the winged marvel once we were safely airborne and away from population centers. 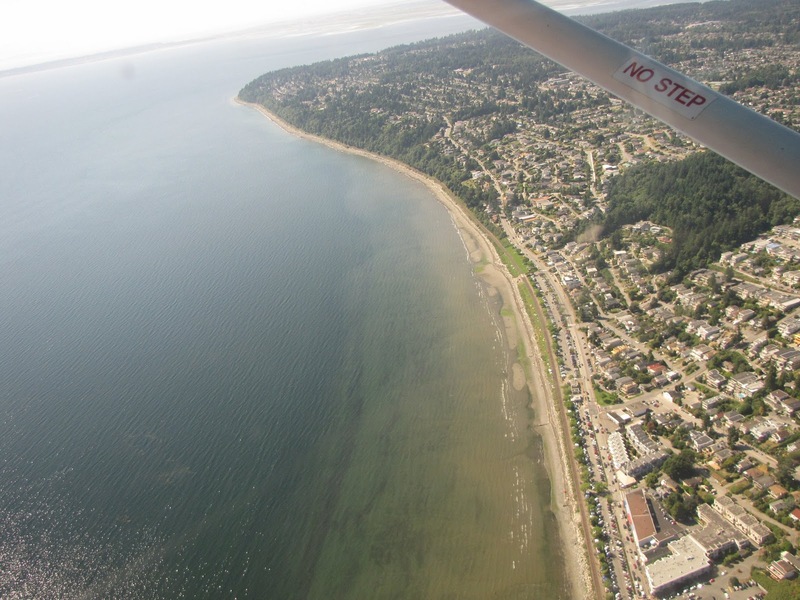 Within minutes we were soaring over the coast of White Rock. 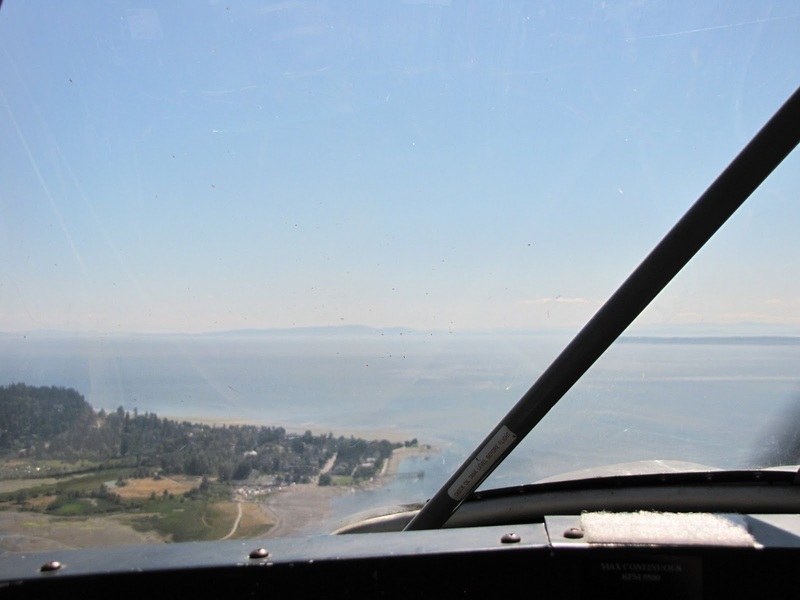 She steered the plane over the water, gave me a brief explanation of the maneuvers I could make, and handed over the controls to me. 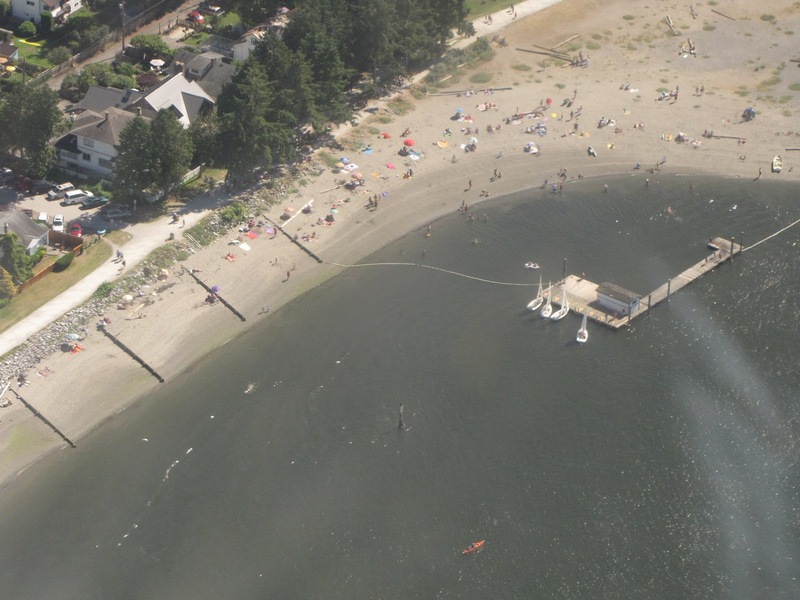 The aircraft was surprisingly easy to pilot and I quickly got the hang of it. I made course corrections to keep tracing the coastline below. When we headed overland, we hit some turbulence. The instructor was back in the pilot's seat for the remainder of the session. We circled back to the airfield and made a smooth landing, bringing an end to my exhilarating fifteen minutes of flight.